Sounds Good Feels Good is the 2015 follow-up to the band’s chart-topping, self-titled debut album, which has sold more than three million copies worldwide. 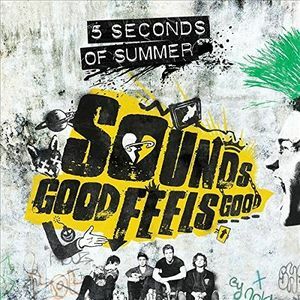 Sounds Good Feels Good sees the band collaborate again with rock veteran John Feldmann (All Time Low, Good Charlotte, Boys Like Girls), who executive produced the new, adrenaline-fueled album. Includes the single ‘She’s Kinda Hot’.